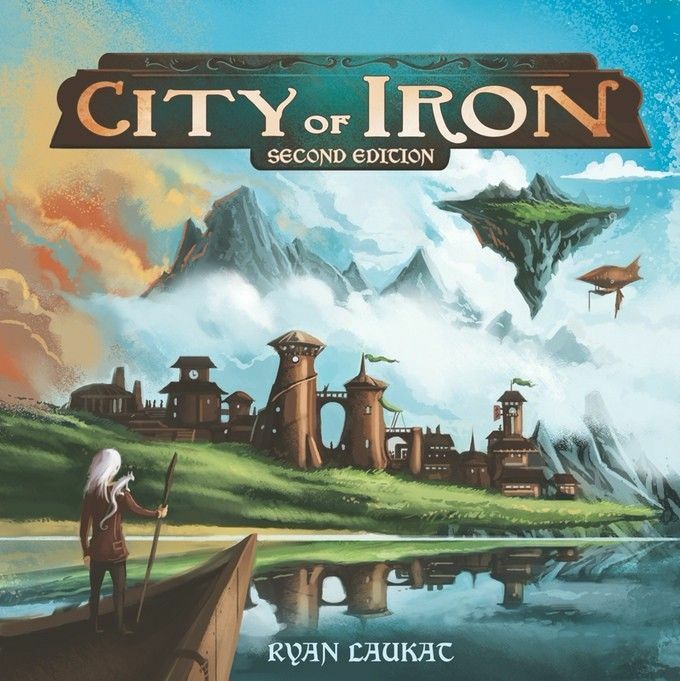 In City of Iron, 2-4 players compete to build up a small nation in a world of machines, magic, and money. 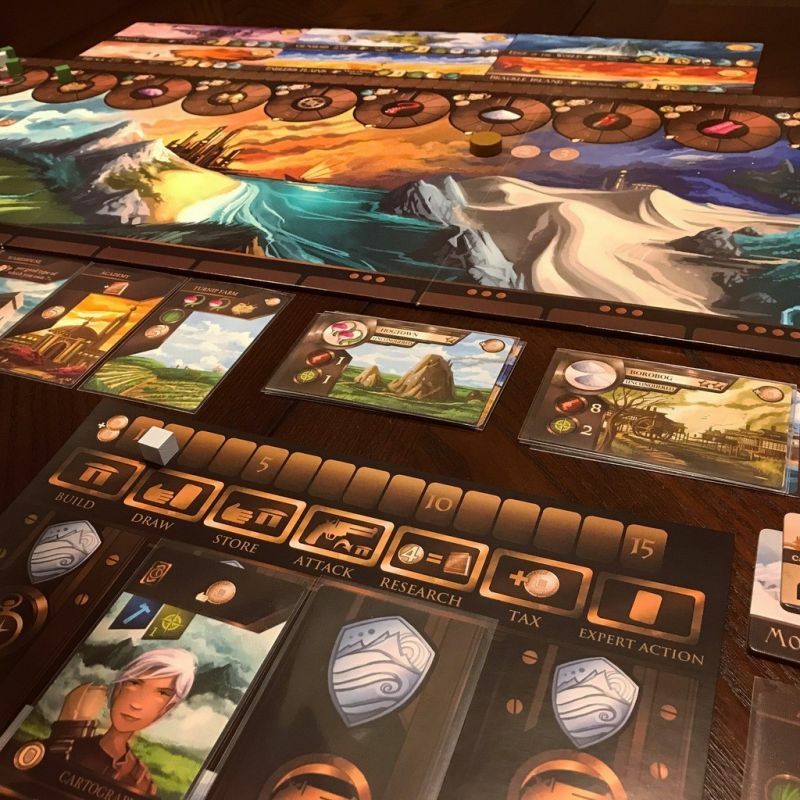 Become the leader of one of four rival nations: the industrious humans, the toad engineers, the scholarly Cresarians, or the clever hogmen. Produce goods like machine parts and bottled demons to gain wealth, or research steam-age technology and recruit mercenaries to control the continent. If you want to establish new cities, youll build schooners or airships to reach faraway lands and flying islands. Your cities have limited capacity, so youll have to decide what to keep and what to demolish when building advanced structures. The future of a nation is in your hands. Build unbreakable foundations for an empire or disappear into the dusty pages of history.